We’re here with the compilation of our newest Christmas carols to boost up your holiday spirit! Come along, and let’s all sing together! 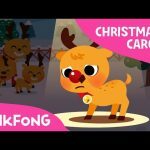 You’re watching “2017 Christmas Carols Compilation”, a fun and exciting Christmas carols created by Pinkfong! 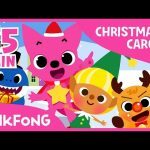 Follow us on ★ Facebook: https://www.facebook.com/pinkfong.off… for new updates and free promotions.